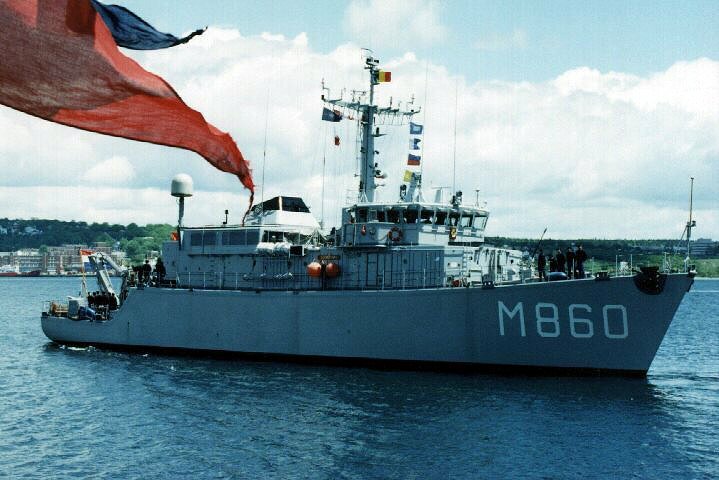 The Netherlands, Belgium, and France cooperated in the design of the Tripartite class of minehunters, and each navy operates several examples of these ships. 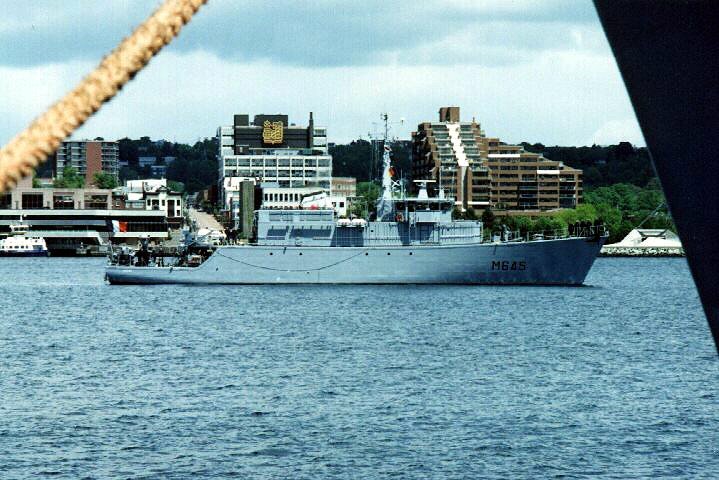 All three ships shown here, the Dutch SHIEDAM, the Belgian BELLIS, and the French ORION, were at HMC Dockyard in Halifax during MARCOT '98. As well, all three were part of SNFC, NATO's Standing Naval Force Channel. While all are similar, there are differences between the ships operated by each country. 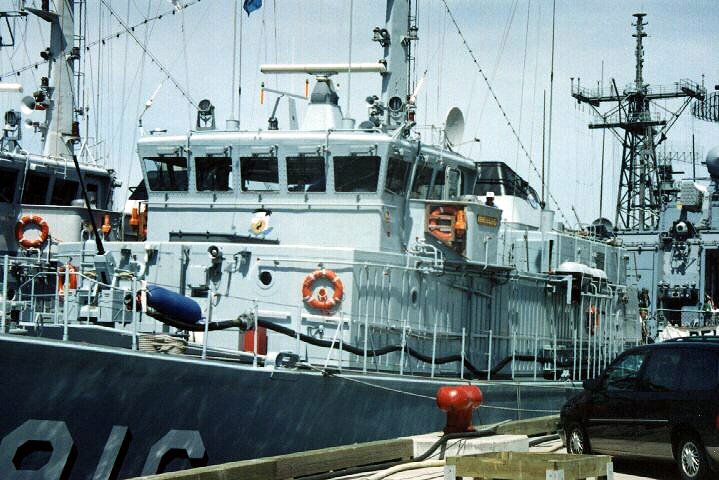 ORION (M645), of the French Navy, framed by the bow and mooring line of another ship. SHIEDAM in the foreground, with ORION in the background over SHIEDAM's quarterdeck. Close observation reveals a few differences in equipment. 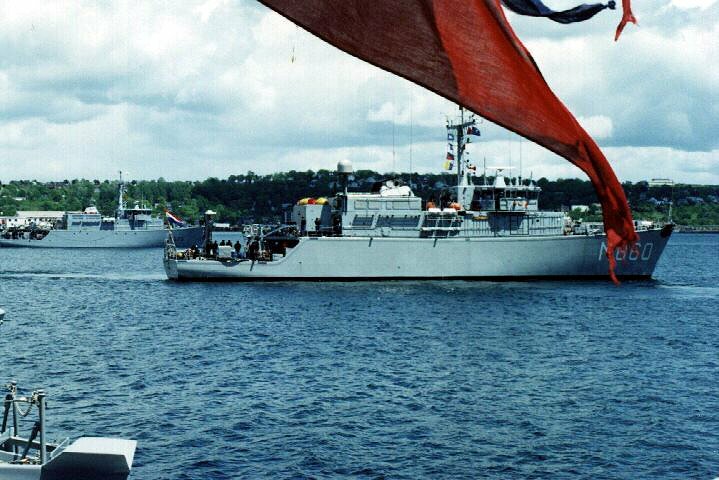 All three ships have hulls made of GRP (glass reinforced plastic), which is not only tough and resistant to mine damage, but also is non-magnetic which is a vital characteristic for minehunters. 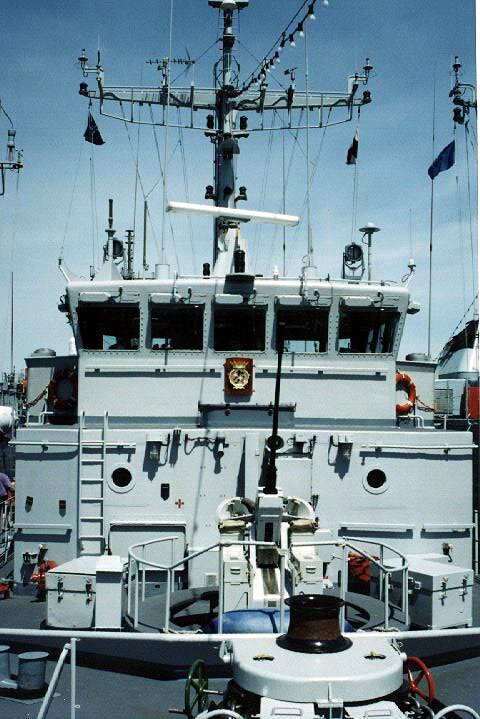 The foredeck on BELLIS (M916). Note the face of Fred Flintstone that is painted under the middle bridge window. This is the foredeck on SHIEDAM. In place of Fred Flintstone, SHIEDAM has the ship's badge mounted under the middle bridge window. 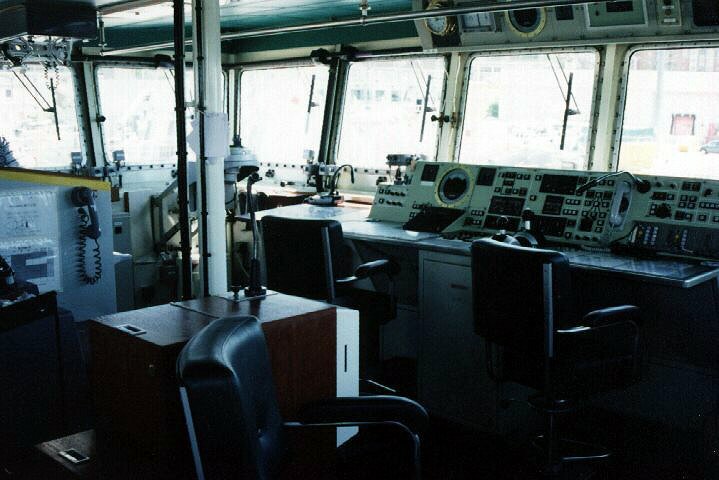 The navigation radar is just above the bridge. The gun is a DCN 20mm/20. This is the bridge on BELLIS. This is the quarterdeck on BELLIS. 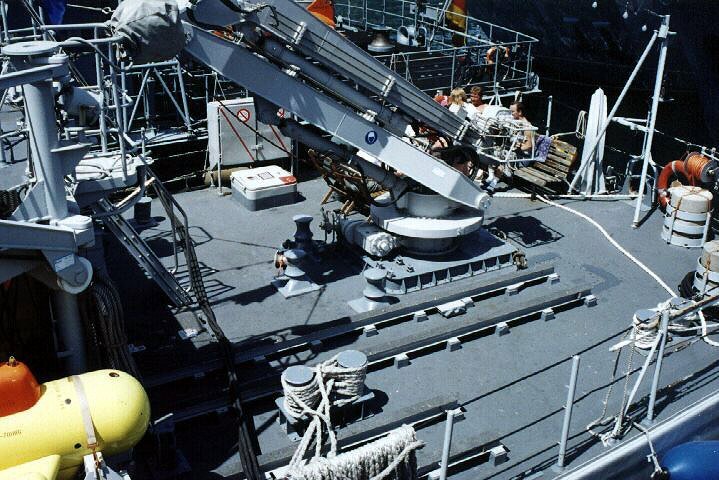 The PAP 104 ROV is to the left, which is used to find and destroy mines. PAP stands for Poisson Auto Propulse. The hydraulic lift for moving the PAP is in the centre of the photo.